Since 1735, Asprey has been the largest company manufacturing luxury accessories across the entire Great Britain. Founded by Guild George Wickes and developed by his apprentices Envard Veykelin and John Parker, the company has always been associated with prestige and status. This famous firm had changed many owners, but it kept traditions of the founders and managed to improve the production process day by day. 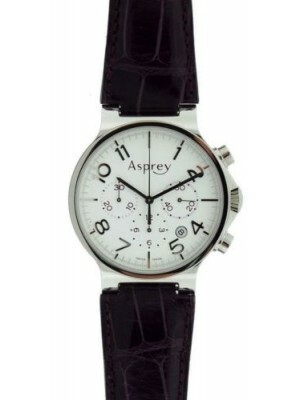 Asprey high-quality products with a distinctive identity help it maintain its position in the demanding modern market. At the very beginning of its successful path, the company provided the aristocracy with different deluxe articles such as glassware, expensive watches, and other prestigious accessories. It was focused on producing exclusive products for the richest and most elegant clientèle who valued quality and a subtly balanced design. Gradually, connoisseurs from all over the world got acquainted with high-end products of this jewelry company, which made it famous across the entire globe. Opening the store on New Bond Street – the famous street with numerous luxury boutiques – was an important step towards finding its way in the market. Stores and organizations having offices and boutiques on this legendary street are all world-famous among both regular customers and VIPs. The popularity of the brand grew when it received the Royal Warrant from Queen Victoria in 1862. Later, Asprey received ever more prestigious awards and prizes for outstanding quality and an easily recognizable design of its products. Today, connoisseurs of pre-owned watches appreciate Asprey products, as they can be rightfully compared to the marvelous products created by Cartier or Breitling. There is nothing surprising in it, as all products of this great brand can be called masterpieces of the watchmaking craftsmanship. The 1920s-1930s were the Golden Age of the company during which many legendary timepieces were created. The famous brand launched several collections of jewelry and luxury watches made in the Art Deco style that was highly popular in those years. These collections brought the company new wealthy and famous clients including representatives of the social elite and Hollywood stars. Moreover, this jewelry house is well-known both for its elite timepieces and table clocks, which have undoubtedly decorated the offices and living rooms of many famous people. 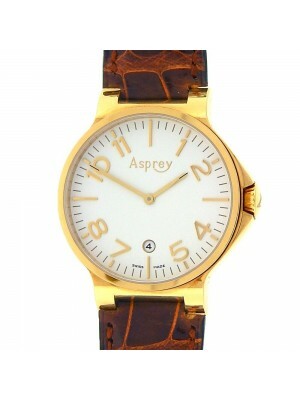 Collection of the luxury Asprey watches includes different items made of quartz, precious metals, and stainless steel. The company produces timepieces for both men and women. The most expensive products’ dials are covered with sapphires. Besides, you can choose a watch strap made of calfskin or crocodile leather. Buy the model you like the most to expose your individuality. Experience an inimitable feeling of wearing one of the exclusive wristwatches from the “Limited Editions” collection of premium timepieces made of white gold. If you prefer originality and high-quality, the “Purple Knight” watch is what you need. 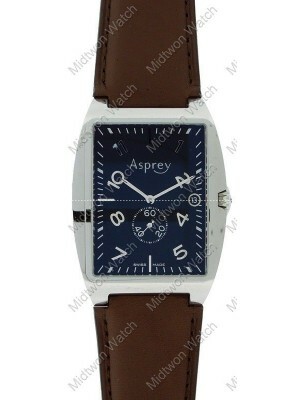 Sapphire glass, calfskin strap, and the unusual design are the main characteristics that distinguish this model. For people adoring white gold, the model “Eight Day” will be the bargain by all means. Choose a premium watch fitting your personality and status here!